Welcome to fringe.yoga in Sawbridgeworth, Herts. - for a fringe newcomer! - for the intermittent yogi! - so you can book into class directly from your mobile! A journey through the fringe.elements geared towards those new to yoga or those who would simply like to revisit the foundation of their practice. fringe.slow is the perfect opportunity to slow down, find peace and quiet in the mind whilst reinvigorating your body through a Hatha and restorative form of the fringe.flow. Still working with the elements to create mindfulness within the body, this class will bring you to a calmer, restored and inspired version of yourself. fringe.flow specifically tailored for mamas to be still working with the elements but ensuring that you get that precious time to relax. It also enables you to maintain and build strength to prepare you for the birth of your baby. This class enables you to connect with your baby and involves a modified flow and baby yoga and massage. The ideal time to be present with your little one all the while bringing back your pre baby core strength and energy. Jivamukti class offers an invigorating practice,it's a form of Hatha yoga with a distinct style that weaves together the physical,psychological and spiritual aspects of yoga to form a deep and holistic experience on the mat. Cost: £35 for the full 6 week course per child. 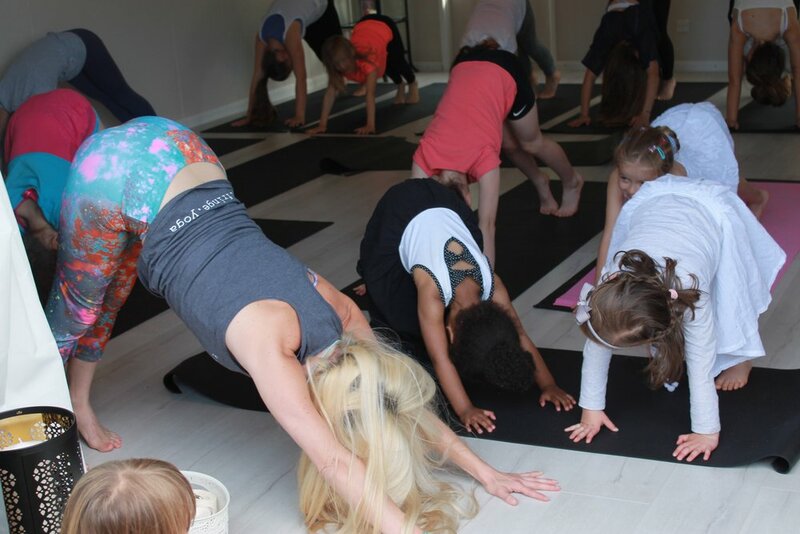 fringe.kids is the perfect class for children between the ages of 4 - 9 to grasp the essence of yoga and learn to embrace the calm yet fun energies and benefits that yoga has to offer! Led by our SYT Jodie who has over a decade of experience teaching children, babies and adults she ensure that every child will gain something amazing from these classes!